The Hope group meets every Monday morning from 9:30 am to 11:00 am, with mothers and/or fathers and their young children (infant through age 5). There is a twofold mission to our meetings. First and foremost we want to make the children familiar, comfortable and excited about coming to the Church. This playtime is very important to the children as they learn the very important lessons of interacting with their peers, sharing and meeting new people. Secondly, this is a great time for mothers/fathers with toddlers to get together for fellowship with other young parents who can share and offer support to one another if needed. During this time we spend generous amounts of playtime in the nursery and gym running around and having fun, in addition to telling stories in the Church. Please watch our monthly newsletter for days, times and special field trips. 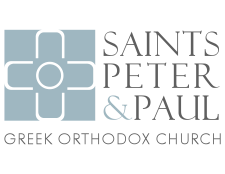 For more information, contact Mr. Peter Savas, Youth Director at youthdirector@ssppglenview.org.